WET Original will help you achieve a strong and lasting suction when using Pumping Plus pumping products. 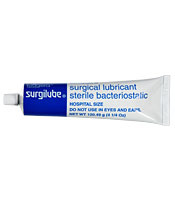 This gentle, orderless, colorless, non-greasy, non-staining water-based lubricant is also condom compatible. Wet Original stays moist to provide a long-lasting silky lubricant, making it a favorite among pumpers. WET Original is available in several convenient sizes to match your needs.